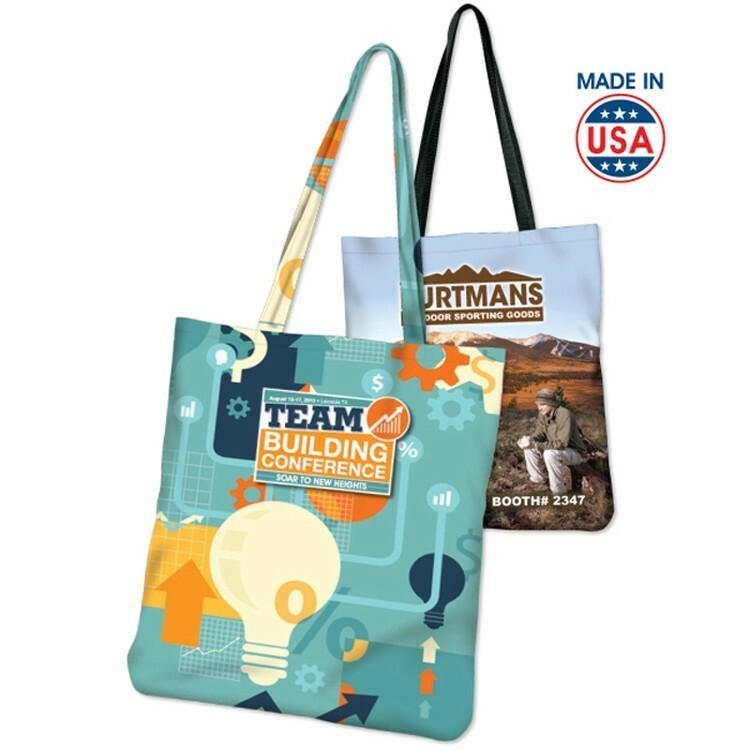 This stylish fashion-forward canvas tote bag is made of durable polycanvas material (600 denier) and is sublimated in full color photo-quality print. This is edge-to-edge full color printing at its best! 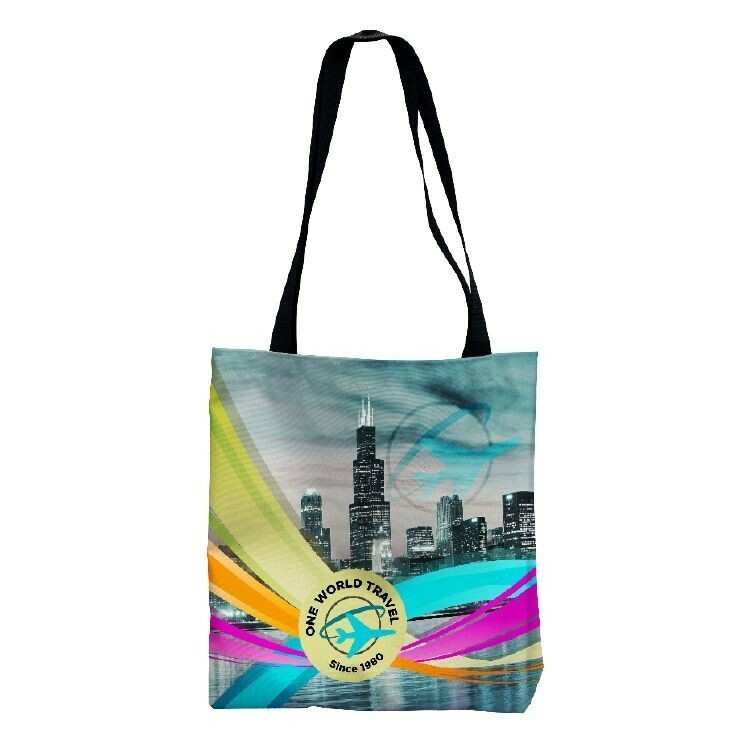 Flat simple tote bag is a great universal branding bag, giveaway, and gift with purchase for any campaign or event. Stand out with gorgeous full color printing, in high quality! Contact us for upgraded material such as 1000 denier or 600 denier recycled material. 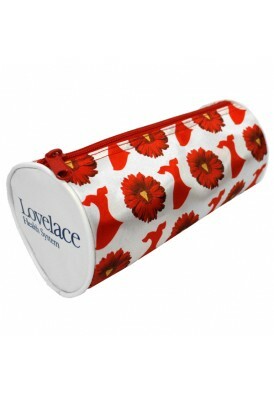 This product includes poly web handles but for upgraded charge, self handles can be substituted, as this bag is custom cut and sew. Reduced pricing available for longer lead times. Ask us for lower pricing at lead times of 8-10 weeks. Very outstanding design Review by Peter G.
Best quality printing. Front artwork made this eye catching to everyone - and wanted more. Just ordered another deal. Thanks!!! First Choice! Review by Angela R.
Good full color photo printing. 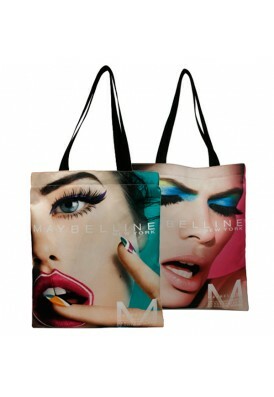 We used this tote on our Non-Profit campaign. 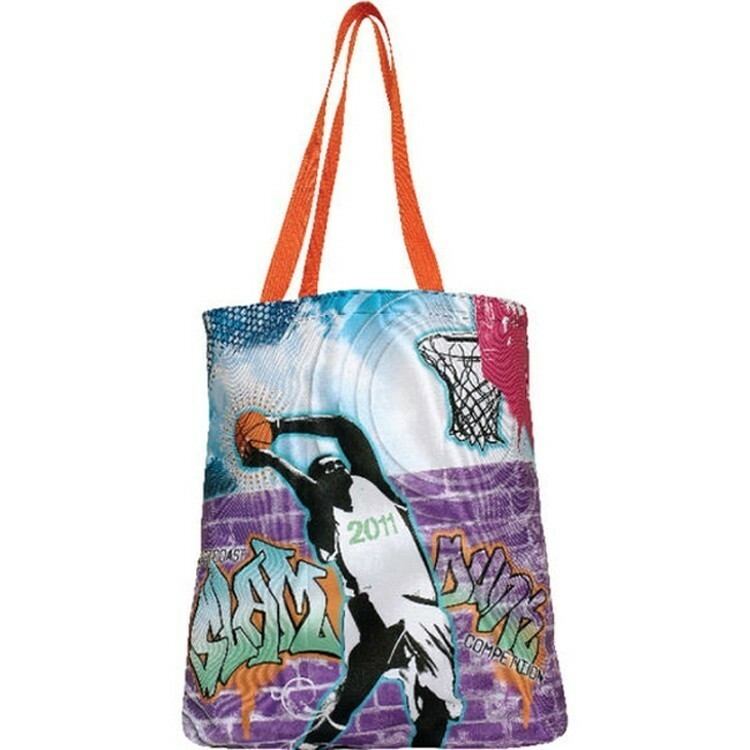 Everyone hit this tote. Thanks! Superb quality and style Review by Tori V.
The color is fantastic on the full color designs and the good quality as well as size of the bags. Our customers loved this and want more. Thank you so much for the great quality. Best seller! Review by Edwin G.
Really happy with this order! It was our first time ordering, very happy with the quality and speed of service. You guys did a great job! impressed with printing quality. colors were exactly right.